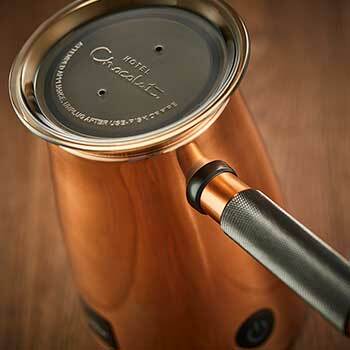 Imagined by Hotel Chocolat, engineered by Dualit. 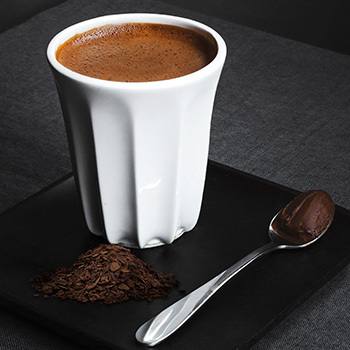 Barista-grade hot chocolate, as served in Hotel Chocolat cafes, velvetised at the touch of a button. No powders, no syrups, just chocolate. 10 x Single serve hot chocolate pouches, 2 of each : Classic, Milky, Hazelnut, Salted Caramel and 100% cocoa. Plus, when you buy your next box of 10 single-serves online, you can choose another on us simply by using the unique code we’ll include with your Velvetiser. Works with plant and regular milk. An electrical product, ready to use straight from your countertop. A removable whisk and non-stick coating for easy cleaning. Not suitable for dishwashers. 1,157.00 g / 0.00 oz.